All FOXWOOD 4 LOT 334-409 homes currently listed for sale in Peoria as of 04/23/2019 are shown below. You can change the search criteria at any time by pressing the 'Change Search' button below. "IMPRESSIVE 5 BEDROOM 3 BATH HOME ON ALMOST A HALF ACRE! 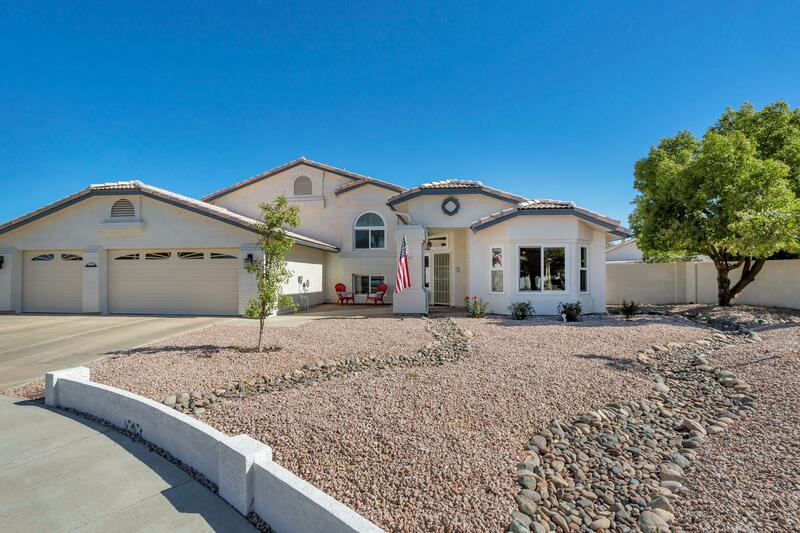 THIS HOME HAS BEEN CUSTOMIZED & UPGRADED THROUGHOUT! CUSTOM KITCHEN W/ ANTIQUED CABINETS, GRANITE COUNTERS, UNIQUE BARN WOOD ISLAND, DBL OVEN, STAINLESS APL, & TRAVERTINE BKSPL! PLANK WOOD LIKE TILE, NEWER CARPET, NEW WINDOWS, NEW HVAC, FRESH NEUTRAL PAINT INSIDE/OUT, NEW FIXTURES & PLUMBING, BATHS-W/ GRANITE & TILE SURROUNDS, WHOLE HOME WATER SYSTEM, NEW GARAGE DOORS & OPENERS, THE LIST GOES ON! THEN STEP OUT TO YOUR PRIVATE .44 ACRE LOT W"